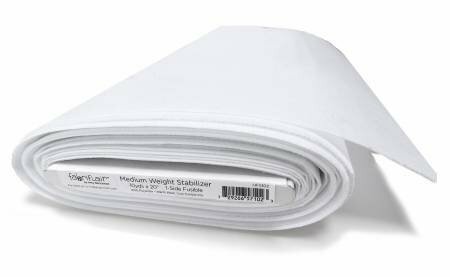 Medium weight, one-sided fusible rigid stabilizer provides structure but is flexible. 100% Polyester, machine wash warm , tumble dry low. Use for crafts and home decor- purses, wallets, boxes, bowls, ornaments, any projects needing a rigid yet flexible backing. For inspiring ideas look to Fabriflair patterns for dimensional art, home and fashion.